A lovely drawing of bunting made with a hanging star and letters spelling the word "Brother" in shades of blue and green. Standing letters underneath spell the words “Happy Birthday” alongside numerous stars. Hand finished with glitter and various embellishments (not shown). 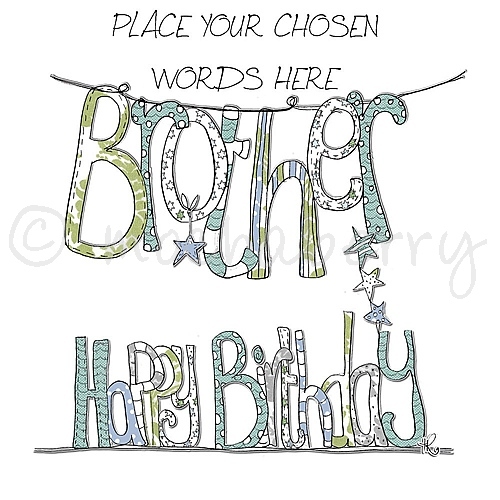 suggestions for use: brother birthday.